The first copy in my hands! 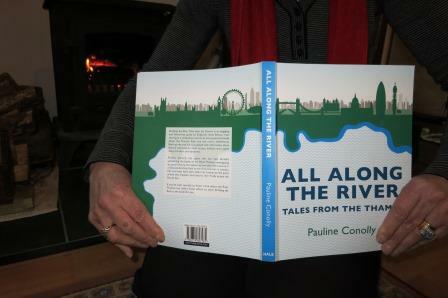 One of the difficulties in writing All Along the River; Tales From the Thames was making really hard decisions about what should go in! So much history…..so much intrigue and scandal. Naturally I was tempted to include far too much about my beloved Harleyford Estate, where we had our holiday home for many years. 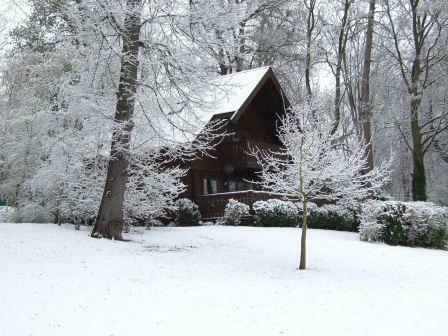 Below l is a photo of our lodge under a light dusting of snow. No intrigue or scandal took place here of course (although we did have some interesting tenants!). However, I thought you might like to see it, as it doesn’t appear in the book. Harleyford Manor is a far more imposing residence. The following is a little story that did not make the cut. From Harleyford to the township of Marlow, a path leads across what has long been known as the Sheep Paddock. During our first years in the lodge sheep still grazed here, but now a community of moles and the occasional grass snake have it to themselves. Yay…those damn sheep have gone!! While delving into the history of Harleyford at Marlow library I was intrigued to find that the Victorian era flock once figured in a huge row. Marlow habitually supplied two Members of Parliament. 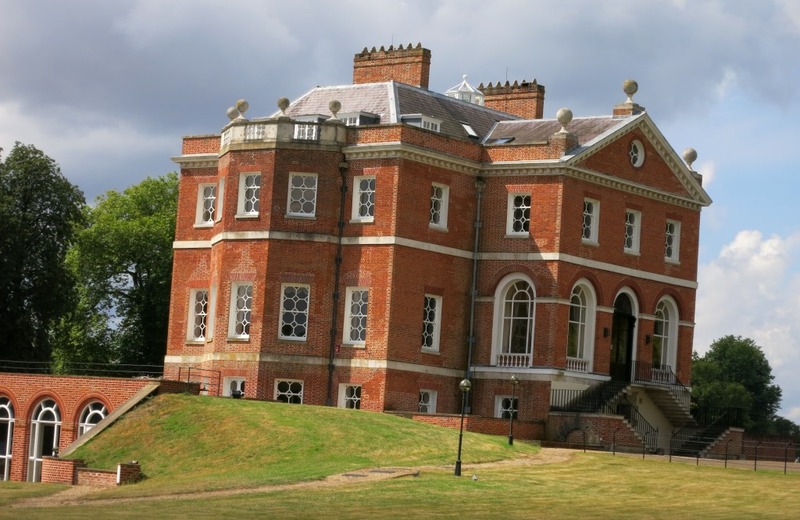 In the 1841 election there were three candidates; Sir William Clayton of Harleyford Manor, who was a Whig; Thomas Peers Williams, who was a Tory and Renn Hampden, also a Tory. Now Sir William came in second, but only defeated the third placed Hampden by a single vote. Hampden subsequently protested, claiming that the deciding vote was gained illegally as Sir William’s farming agent had bribed debt ridden local butcher Jason Povey with some of Harleyford’s plump, Southdown sheep. 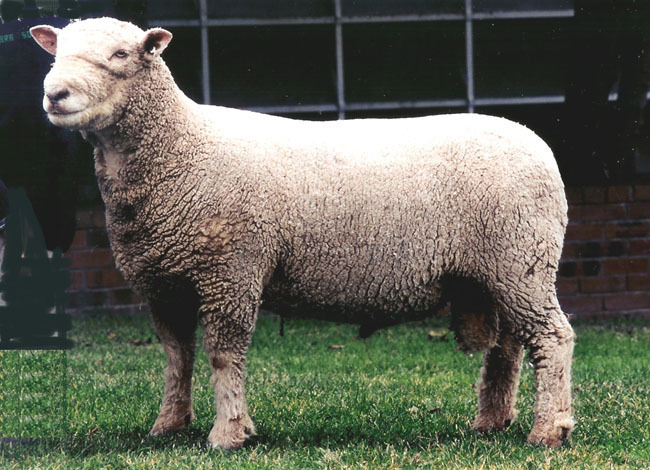 The Southdown…bred for it’s meat. The perfect ‘gift’ for a butcher. 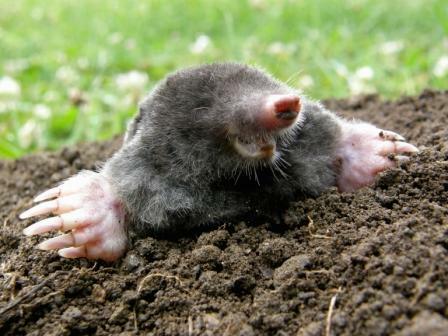 A House of Commons select committee agreed that Povey’s vote was ‘bad’ and struck it from the roll, creating a dead heat. However, it became obvious that another voter, William Plumridge, had also received ‘parochial relief’ from Clayton (perhaps another sheep?) and his counsel was unable to offer any defense whatsoever. With a second Whig vote declared bad, Renn Hampden took the lead and despite evidence that Thomas Williams had also bought votes by allowing his tenants to live rent free, poor old William Clayton lost his seat. A damned bad business in my opinion. I’m sure Sir William’s generous heart was deliberately misinterpreted as bribery! Of course I could be a little biased. 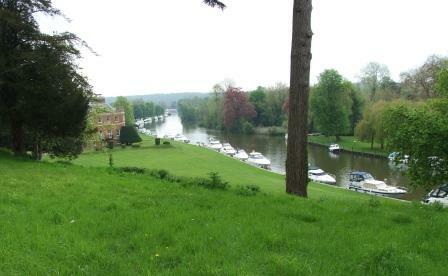 View down the Thames past Harleyford Manor. IF YOU WOULD LIKE TO COMMENT ON THIS STORY PLEASE USE THE BOX BELOW. BUT AS ALWAYS, REMEMBER TO COMPETE THE LITTLE SUM UNDERNEATH THE BOX BEFORE PRESSING THE ‘SUBMIT’ BUTTON! In the 18th century, ‘Wicked Jimmy’ Lowther became notorious in Cumberland for doing exactly the same thing, but on a giant scale. Given the era, I suspect a lot of peers were struggling to get used to the fact they had a lot less independence and governing power over their estate and immediate environs than their ancestors, and thought it entirely reasonable to use the money and status to buy it back. Fortunately, people were far too keen for fairness to tolerate this, even then! I was fascinated (and horrified) by the piece you wrote on Jimmy Lowther. I’m sure you are right and that it must have been a rude shock for the ruling classes when they were called to account over bribes and other electoral illegalities! HA HA…MORE ALONG THE RIVER?? ?